The Department of Labor and Employment recently revised the rules on the issuance of Alien Employment Permits to foreign nationals in the Philippines. Key changes include: •	New documentary requirements; •	Revised grounds for denial; •	Revised exemption eligibility; and •	New penalties for foreign nationals and employers violating related rules. The changes will take effect on December 9, 2017. Employers impacted by these changes should expect longer processing times for their employees' AEPs. The Department of Labor and Employment in the Philippines issued an Order amending the rules regarding the issuance of Alien Employment Permits (AEP) to foreign nationals. The changes will take effect on December 9, 2017. Securities and Exchange Commission (SEC) Registration and General Information Sheet (GIS). Exclusion from AEP requirement. In order to avail of the exclusion available for corporate officers, presidents and treasurers must now be part owners of the company. Other corporate officers, such as the company secretary, are no longer eligible. Employers of foreign nationals eligible to apply for AEP exclusion will need to submit certain documents and pay a fee to obtain a Certificate of Exclusion. For foreign nationals. Foreign nationals whose AEP has been denied or cancelled due to misrepresentation of facts or submission of falsified documents with malicious intent to obtain an AEP will now be disqualified from reapplying for an AEP for five years. For employers. Employers, their representatives and agents who were convicted of filing at least three fraudulent AEP applications will be banned from reapplying for an AEP for five years. Employers found to have employed foreign nationals without a valid AEP and who failed to pay the penalty imposed for such offense will be barred from employing foreign nationals until such payment is made. Employers impacted by these changes should expect longer processing times for their employees' AEPs as the additional requirements will need to be secured from different government agencies. Employers should also expect heightened scrutiny for new or renewal AEP applications due to the increased grounds for application denial. We worked closely with Follosco, Morallos & Herce in Manila to prepare this alert. It is for informational purposes only. 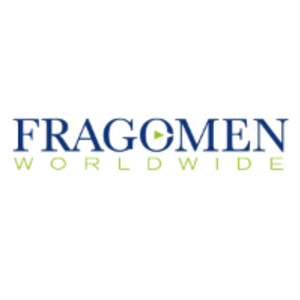 If you have any questions, please contact the global immigration professional with whom you work at Fragomen or send an email to APCCInitiations@fragomen.com. © 2017 Fragomen, Del Rey, Bernsen & Loewy, LLP, Fragomen Global LLP and affiliates. All Rights Reserved.